Americans work hard for their vacations. U.S. businesses are notoriously stingy with vacation time and their employees like to make the most of what time they can get. While a trip to a foreign country for Europeans can be a quick drive over a border or two, Americans travel farther and rely more heavily on air travel. Those flights that carry us across oceans and language barriers leave behind a wake of carbon dioxide in the stratosphere. I will not be boarding a plane for spring break this year, so rather than stew in jealousy, I thought I would take a peek at my friends itineraries to get an idea of the impact of various spring breaker destinations. The UC Berkeley Environment and Sustainability Portal estimates that an escape from snowy Boston to sunny Jamaica deposits 1.23 tonnes of CO2 in the atmosphere over the course of the 5000 mile round trip. Berkeley further suggests that a modest donation of $13.39 each to the UC Berekeley Climate Action Fund will sufficiently offset the emissions of their trip. CO2 Balance suggests a $22.04 donation to send energy efficient stoves to the developing world. A trip from Boston to Cancun, Mexico yields similar CO2 emissions as the Boston to Jamaica trip. A vacation to Hawaii, the most distant sun seeker destination, results in more than twice the CO2 emission at 3.2 tonnes per seat and surpasses even transatlantic flights. Whether or not these calculators are accurate is debatable and much discussion board space has been devoted to their critique. Their principle, however, is highly intriguing. Environmentally conscious businesses have been purchasing offsets to their travel for several years now. These web based calculators and small scale offsets have brought an easy and affordable way for the individual travelers to compensate in a small way for the massive fossil fuel use included in their ticket price. 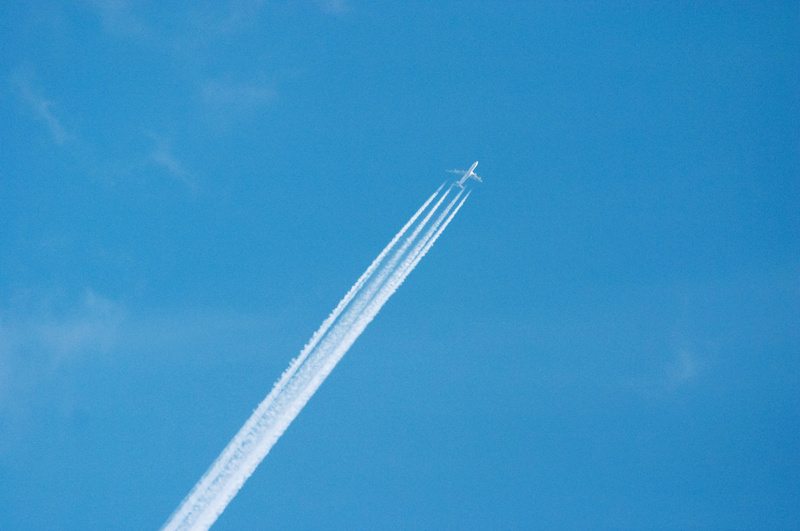 “Air Travel Calculator.” UC Berkeley Environment and Sustainability Portal. http://enviro.berkeley.edu/aircalculator. Last accessed January 21, 2010. “Air Travel Carbon Dioxide Emission Calculator.” CO2balance.com. http://www.co2balance.com/us/co2calculators/air-travel. Last accessed January 21, 2010.